Radicchio is a bitter purple green, originally from Italy, that comes in a variety of shapes and sizes named for the regions in Italy where they originated. 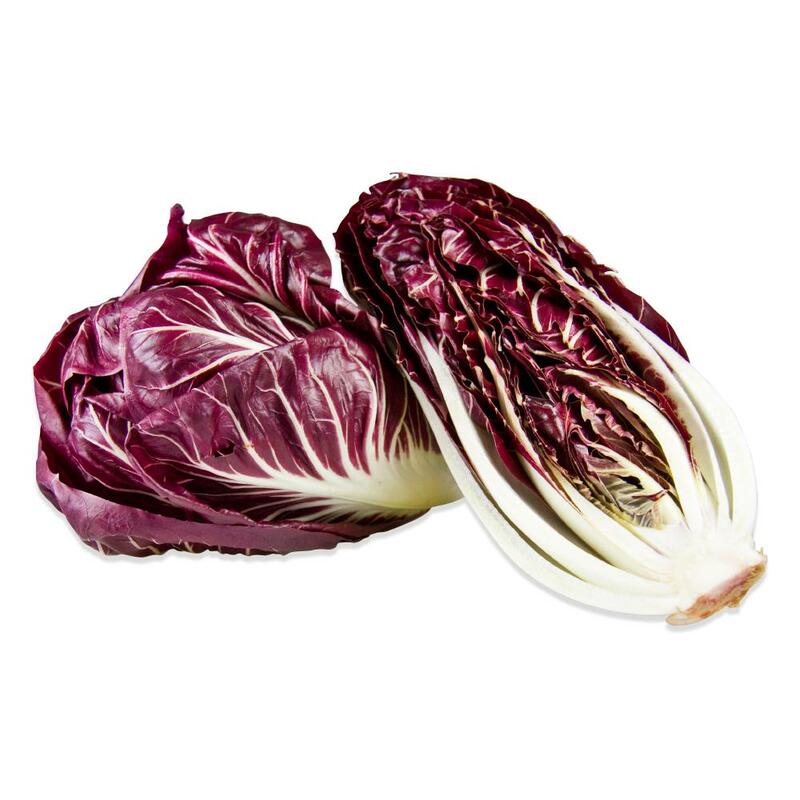 Treviso Radicchio originates from the Treviso region of northern Italy and is long and narrow, looking like a giant purple endive or head of tapered romaine. Store treviso in a plastic bag in your crisper. 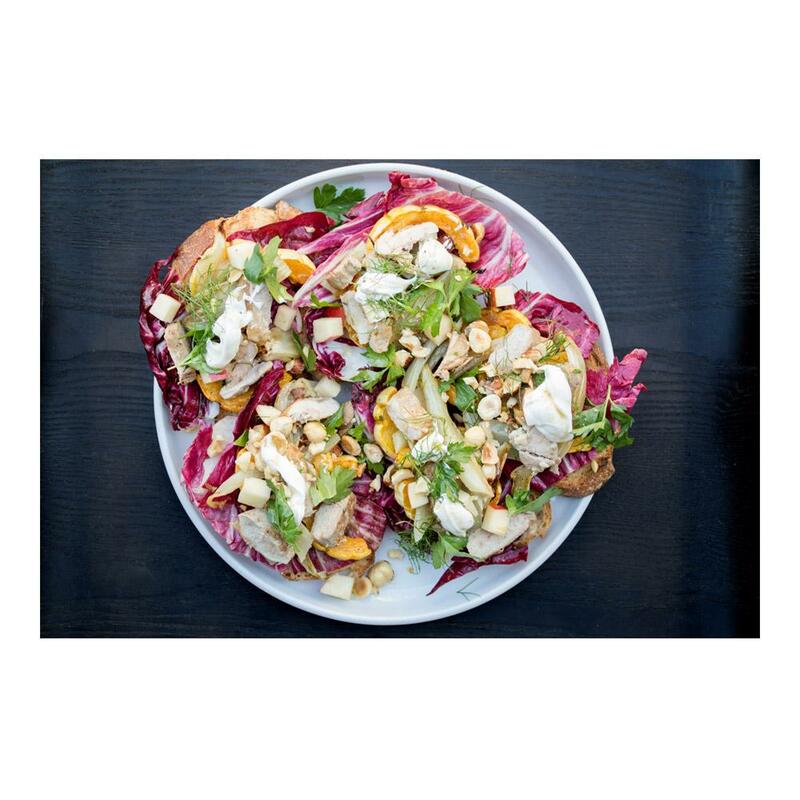 Radicchio is frequently rubbed with olive oil and grilled, but can also be used raw as a very bitter herb in salads (often paired with sweeter greens or dressings to balance the astringency) as in this Treviso & Black Garlic Rabbit Salad Recipe. Try combining these methods for a delightful warm salad. Whole raw radicchio leaves can be used as boats or “lettuce” cups for moist salads like tuna, chicken, or (finely diced) potato salad, served either cold or topped with cheese and briefly broiled. Treviso can also be simmered or braised in stock or broth like an endive, which tenderizes it while mitigating its bitterness. Try adding simmered Treviso to risotto or tossing it with pasta. Treviso’s bitter flavor is good balanced with rich flavors like bacon or braised pork belly, pancetta, duck, or Parmigiano Reggiano cheese. It can also be accentuated with sour ingredients like anchovies or boquerones, lemon juice, olives, and balsamic vinegar.